Tim made sure his proposal to his partner Bennie was extremely memorable. 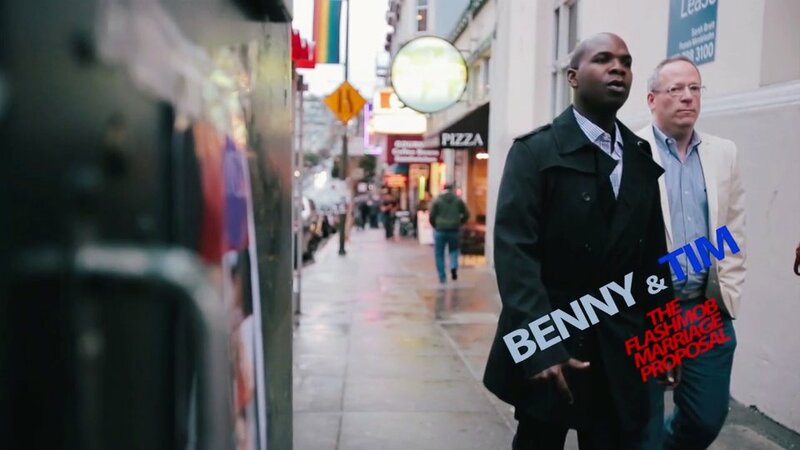 He enlisted the help of the San Francisco Flash Mob Crew to surprise Bennie with a rendition of Beyonce's "Single Ladies" - Bennie's favorite song. What Bennie didn't know is that he thought he had stumbled upon the flash mob but the whole thing was a set-up so that Tim could pop out and pop the big question in front of family and friends. Watch Tim take a cue from Beyonce and put a ring on it after the jump.